President John F. Kennedy was wearing a back brace on the day he died. If he had not been wearing it, he might have lived, says the doctor who tended to the president in the emergency room at Dallas' Parkland Hospital. For years Kennedy suffered from severe back pain. He took pills and received shots regularly to numb the pain, according to a biography by Robert Dallek, who reviewed the president's medical records. The pain was so severe, Dallek notes, that Kennedy couldn't put a sock or shoe on his left foot without help. The motorcade through Dallas on Nov. 22, 1963, came four days after one in Tampa, which according to CBS News was the longest of JFK's presidency. When Kennedy was brought to Parkland Hospital, Dr. Kenneth Salyer, then a 27-year-old resident, was the doctor on duty. "He was still breathing," Salyer told CBS News. "It's sort of agonal, labored, close-to-your-last sort of breaths. But he still was breathing." 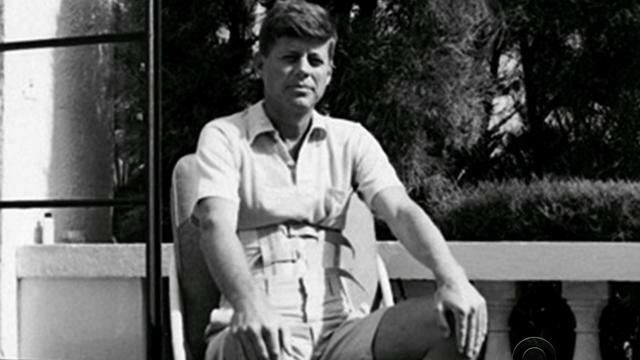 When Kennedy's clothes were removed, Salyer discovered a corsetlike brace. That brace, he contends, probably cost Kennedy his life. "The first shot that hit him went through the soft tissue of the back of his shoulder and exited through his trachea," Salyer told CBS News. "That same bullet went through [Texas Gov.] John Connally's chest, through his right hand and into his thigh and knocked him completely down in the car." But while Connally immediately slumped over, the Zapruder film shows that Kennedy did not. He remained upright in the back of the convertible limousine. The second shot struck the president in the head, delivering the fatal blow. "He's still upright as a target because he has the brace on, which makes it possible for Lee Harvey Oswald to hit him with a second shot," Salyer told CBS News. "I think that would not have happened if he had gone down like John Connally did."